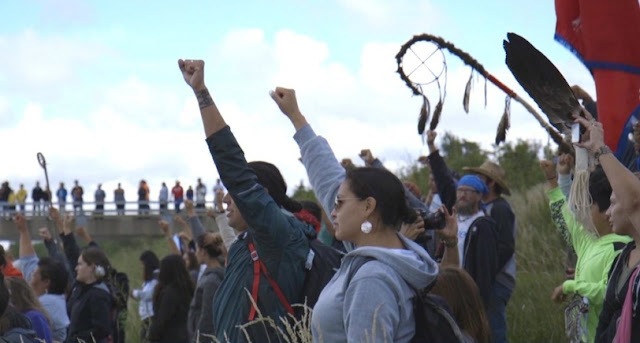 OKLAHOMA CITY - A local Caddo Nation tribal leader is free after spending two days behind bars in North Dakota, but family members say she was just an innocent bystander in a clash between police and protesters there. Family members of Caddo Nation chairwoman Tamara Francis-Fourkiller said an anonymous donor paid late Saturday afternoon to release everyone arrested on Thursday at the Dakota Access Pipeline site. They said, however, that Francis-Fourkiller should not have been arrested in the first place. An expert on sacred burial grounds, Francis-Fourkiller was one of the tribal leaders visiting the Sioux of Standing Rock to advise them during negotiations with the Dakota Access Pipeline construction team. “Remains were being desecrated in this pipeline, so they had asked a bunch of people to come up there, so there’s a big conference,” Francis-Fourkiller's sister Loretta Francis said.